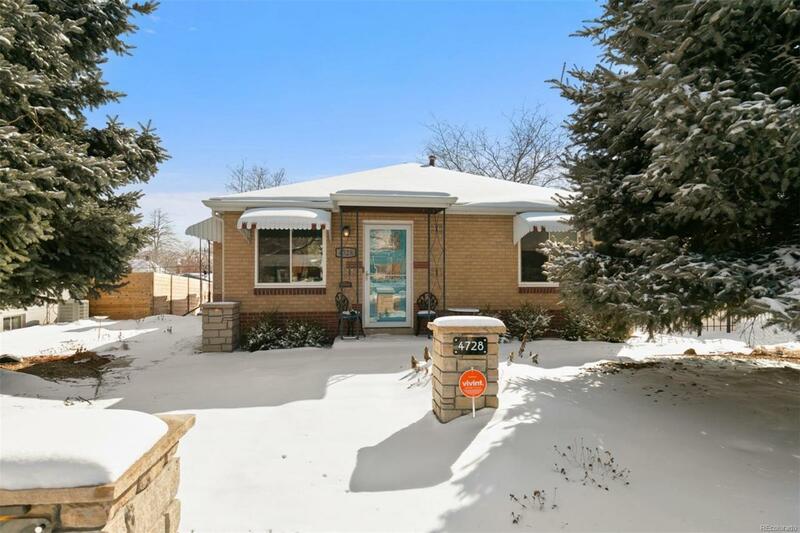 This totally remodeled mid-century charmer is perfect for the investor with amazing AirBnb potential, or a buyer who just wants to live in the coveted Highlands neighborhood! Renting furnished for $2000/mo! This home has been meticulously maintained for decades with no detail overlooked - brand new A/C, updated electrical, new roof installed 2017, brand new sewer line 2018, new upgraded windows, original hardwoods refinished 2016, total kitchen AND bathroom remodel, and brand new landscaping. The kitchen shines with quartz countertops, under-cabinetry lighting, soft-close drawers, built-in island seating, and SS appliances. The backyard is a private oasis! 1 car detached garage with 1 other reserved parking spot off of the alley + plenty of off street parking. This is the gem you have been waiting for! Unbeatable location! Just blocks away from Highlands Square/Sloan's Lake, enjoy everything the West Highlands has to offer. Highlands Farmers Market on Sunday's right at your front door.